In the early decades of twentieth-century Germany, a group of avant-garde artists known as Die Brücke (The Bridge, 1905-13), emerged. Hoping their work would serve as a bridge to the art of the future, they developed a radical new style of painting called Expressionism. This composition, with its deliberate brushstrokes and forceful use of outline, articulates both Ernst Ludwig Kirchner's and Die Brücke's intent to reveal raw emotion without apologies. 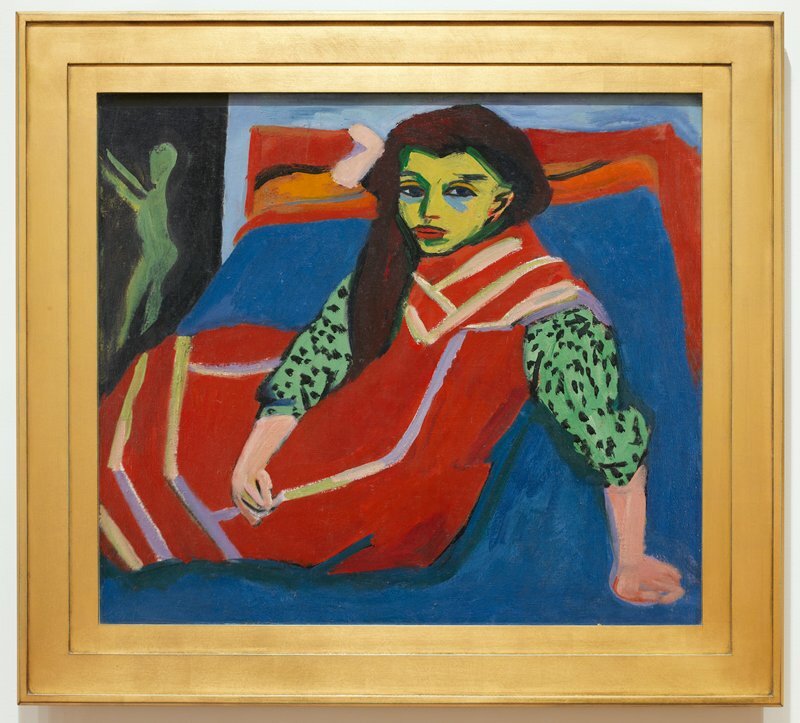 Lina Franziska "Franzi" Fehrmann (1900-1950), the adolescent model for Seated Girl, met Kirchner in 1910. She and her siblings regularly posed for artists in the Die Brücke group.